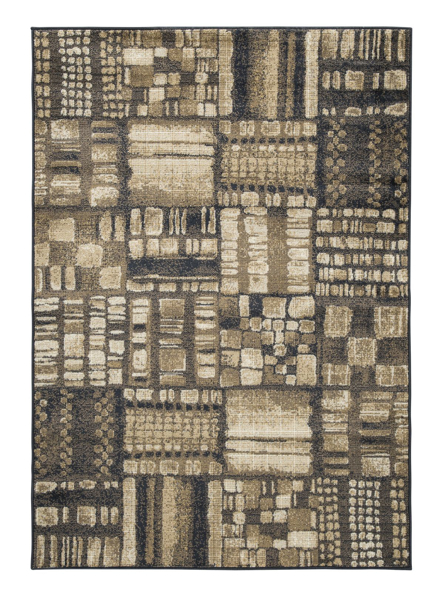 The Hilliard area rug provides the building block for a contemporary look. Various sized block shapes form an array of perfectly imperfect patterns for natural appeal. Sporting calming shades of black and brown, the plush pile is sure to delight.